If you’re looking for cheap 5.56/223 ammo but are afraid of steel cased Russian ammo then you might be interested in Wolf Gold ammo. Wolf Gold ammo is brass cased instead of steel. Manufacturing of Wolf Gold ammo has been sourced to Taiwan. Typical Wolf ammo is manufactured in Russia. Wolf Gold Performance ammunition uses brass cases and FMJ bullets. The brass cases are reloadable. 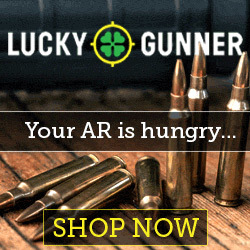 This is good quality ammo and is backed by a 100% performance guarantee. If you are not satisfied with the ammunition’s performance, Wolf will refund your money for the unused portion. Here is a good video review on Wolf Gold 223 ammunition. This entry was posted in 223 by admin. Bookmark the permalink.